Château les Fontenelles is located in the south-west of France, in the region of Perigord. In 1998, the Bourdil family decided to bottle and sell their wines, before the grapes had always been handed over to the local cooperative. The 27 hectares of vineyards are divided into two different terroirs, the white varieties Sauvignon Blanc and Semillon grow on the limestone-dominated soils, the red Cabernet Sauvignon , Merlot and Cabernet Franc on the loam and pebbles. 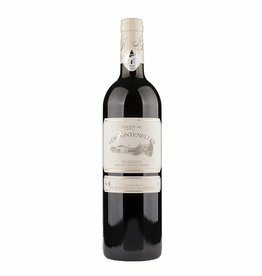 The wines of Château les Fontenelles are not only hand-crafted with passion, they are also characterized by a considerable price-quality ratio , which is difficult to beat .